This will be held in November at Drake's Restaurant in Ripley, Surrey. 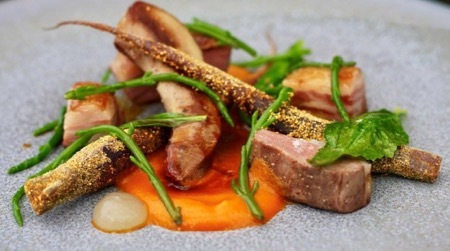 Chef Steve Drake is passionate about using locally sourced ingredients wherever possible and his love of local produce extends to the wine list at the Michelin-starred restaurant in Ripley, Surrey, which he and Serina Drake opened in 2004. Since then their business has consistently won accolades for the innovative, creative and skilfully prepared food and superb service. Now, following a visit to the company's Sussex vineyard by Steve and sommelier Michael Fiducia, a special ‘Best of British' dinner will take place on November 12 in conjunction with Nyetimber English Wines. "We have been serving Nyetimber at Drake's for some years now," said Steve, "but after the chance to taste the different vintages and variants while enjoying Nyetimber's lyrical, bucolic setting, which dates back to the Domesday Book in 1086, I jumped at the chance to host a dinner with these amazing English sparkling wines. We have really enjoyed creating this special menu and selecting appropriate Nyetimber wines to pair with the different courses." Steve and Michael have put together a menu that showcases some of the very best autumn ingredients to complement the wines. The five-course menu, plus ‘snacks' on arrival, water, coffee and petit fours, accompanied by matching wines (including some from Nyetimber's rare library stock), includes dishes with pumpkin, Devon crab, monkfish and roast guinea fowl. 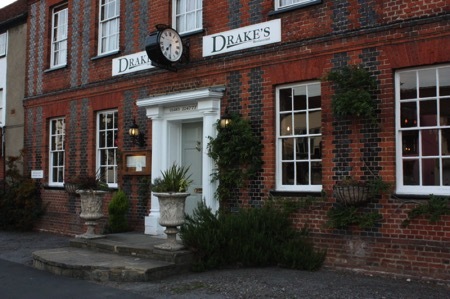 The full menu and further details on how to book can be found on the Drake's website - drakesrestaurant.co.uk. On the night, representatives from Nyetimber - including its winemaker - will be on hand to introduce the wines and answer questions.